On March 8th and 15th FunDza ran a creative writing workshop at Ikamva Labantwana Bethu in Nyanga East. 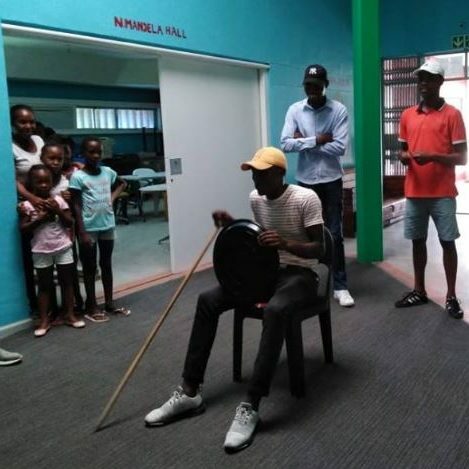 It was sponsored by the Western Cape Department of Culture, Arts, Sports and Recreation and participants were out-of-work youth and volunteers who worked with after-school youth programmes in their communities – giving back to help young people get ahead. 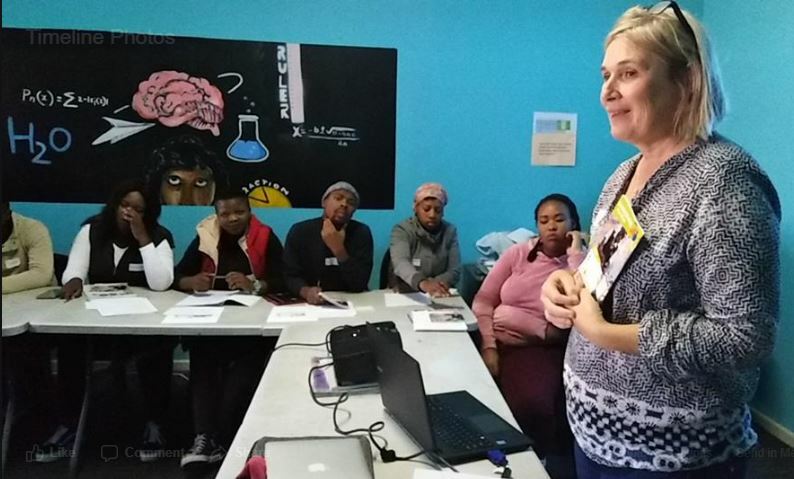 FunDza’s Ros Haden and Nandi Tshabane spent two intense, rewarding days with a group of 26 inspiring and motivated young men and women who were keen to: build their writing skills, share their stories, and take what they had learned back to share with their after school groups. The overarching theme of the workshop was around personal heritage, hopes and dreams and there was a focus on communities and family. Participants needed something very real and familiar they could connect with to inspire their narrative essays and many chose to write about family members who had impacted their lives and their hopes for the future. There were very moving stories about: parents who had made huge sacrifices so that their children could have a better future; young mothers whose lives were transformed by the love for their babies; brave survival stories of young people having to cope and ‘bring themselves up’ without parents. The workshop was a safe, creative space where participants felt free to share their experiences with each other, and they did. Members of the group were very open in reading out their work and encouraging each other; they got to know each other’s struggles, challenges, hopes and dreams and the facilitators got a real sense of what life was like for them living in their communities. There was also a strong focus on multilingualism and Nandi was there to assist and encourage writers who chose to write in their mother-tongue. 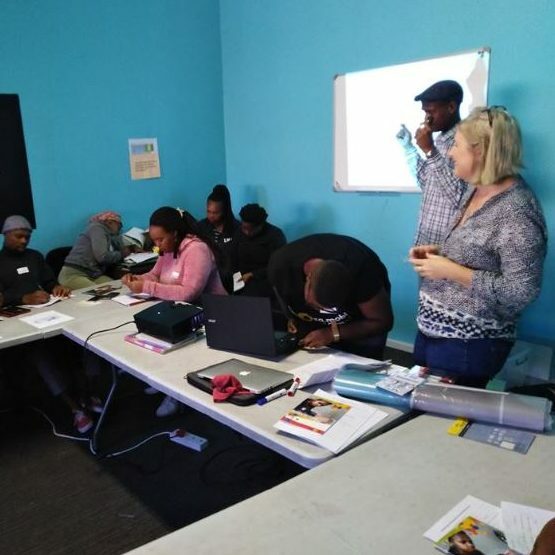 The workshop was about helping young writers find their unique voice and a couple of the writers felt freer and more able to express themselves more powerfully in isiXhosa and did so. The essays were a mix of English, with isiXhosa expressions and colloquial dialogue. On both the first and second days there was loadshedding for two hours, thanks to Eskom, but writers were undaunted and kept writing even though the rooms were dimly lit. There were whoops when the lights came back on and the urn could be boiled for much-needed tea breaks! The writing sessions were intense and demanded a lot from the participants but there were ice-breakers and a role-play activity that went down a treat and provided much laughter and excitement – with groups choosing characters and a setting, randomly, and then working out a role-play where the others had to guess who they each were and where they were. There were preachers on taxis, a ‘slay-queen’ in a church, a celebrity at a garage and many more hilarious and often confounding scenes. The groups performed in a central area of the centre where younger children came to watch and also join in as willing members of the ‘chorus’. By the end of the workshop the participants had learned a great deal and produced an essay and poem each for publication on FunDza’s online platform fundza.mobi. The facilitators felt that the workshop had really opened up a new world for participants as it gave them confidence to express themselves in writing, and see how writing could be a valuable means of self-reflection and an outlet for their feelings. The feedback expressed what they had gained from the workshop and enjoyment of the writing activities, including the poetry activity where they were inspired by a poem by FunDza’s Ndibulele Sotondoshe titled, ‘I’m from a place’, that paints a vivid, powerful picture of where he grew up. Participants wrote their own poems about the communities they are from. After the workshop participants couldn’t wait to see their stories and poems published and to read the comments by other readers online. Read them here .